Watching the Great British Bake Off will either make you hungry which will lead you to raid the biscuit tin, or it will make you want to get in the kitchen and bake…..or both (like me!). So this weekend I decided it was time to make a proper pudding. I never make pudding. Cookies, flapjacks, brownies I will make again, again and again (can you ever get bored of brownie though?). But I can never justify a pudding as I can’t stand waste so me and my boyfriend would have to eat the whole thing. Puddings are meant to be part of balanced lifestyle and 50% of the portion is not balanced, oops. But when you know you have family down to stay, well then….it would be rude not too (hurray!). I was stuck between two different ideas to make. One part of me wanting to make a ‘showstopper’ lemon and lime cake and the other part of me wanted a proper pudding to be enjoyed with lashings of custard or ice cream. 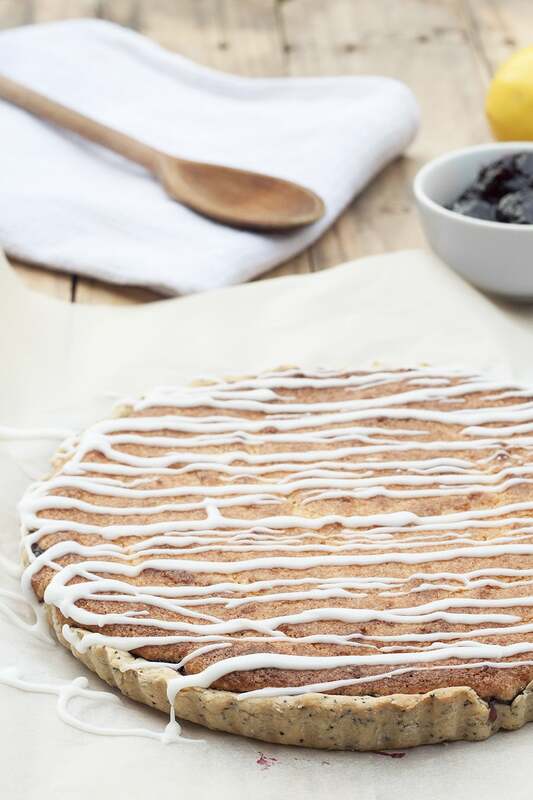 So I have combined the two and got the best of both worlds by making this sticky lemon bakewell tart recipe. It was delicious. The strong lemon flavour which was very sweet is balanced by the shortcrust poppyseed pastry. The blackcurrent jam gives it a real English taste. A great combination to be enjoyed on a rainy summers evening. Let me know what puddings you enjoy or if you have made this, what did you think? Leave me a comment! Grease or line a tart tin. In a bowl add your flour and the first measurement of butter. Rub the butter in until it resembles breadcrumbs. Add the poppy seeds and water. Mix until it forms a soft dough. Roll the dough out on a floured surface until it is large enough to 'drop' into your tart tin. Gently press the dough down into the greased tin. Chill in the fridge for 30 minutes. And preheat your oven to 200C. After 30 minutes in the fridge. Line your pastry with greaseproof paper and fill with ceramic baking beans. Cook your pastry for 15 minutes. After 15 minutes, take our the beans and paper and bake your pastry for a further 5 minutes. Whilst your pastry is baking melt the second measurement of butter in a pan. Add the sugar and mix. Add the ground almonds, eggs, lemon extract and zest and mix. Spread you jam onto the cooked pastry and pour your lemony filling onto. Bake for around 35 minutes at 175C. Once your tart has cooked, leave to cool. Mix the icing sugar and lemon juice. 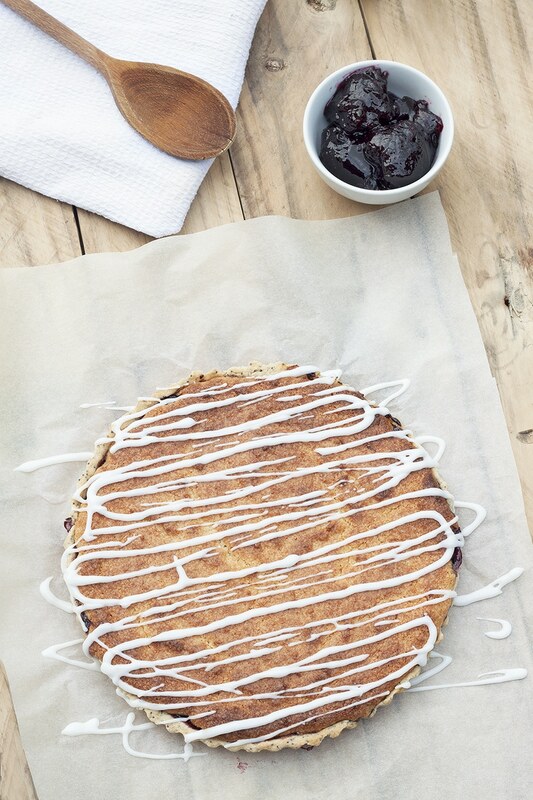 Drizzle roughly all over you tart and enjoy with ice cream or custard. Delicious.